Tbilisi is the kind of city you could spend weeks exploring. It’s big enough to get lost in, but has enough hidden alleys and attractions to mean you never get bored. Throw in the fact that the food and drink is some of the best in the world – especially if you drink wine – and it’s hard not to fall in love with Tbilisi. As incredible as Tbilisi, spending your entire trip to Georgia there would mean missing out on the amazing country that lies beyond the capital. Georgia is full of beautiful landscapes, interesting history and unique cities – and it would be a shame to miss those. Luckily, most of them are possible to visit overnight tours or day trips from Tbilisi. 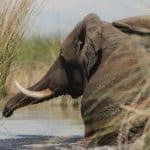 Here are some adventures to consider tagging on to your Tbilisi trip if you want to see more of Georgia. Only have two or three days in Tbilisi? No worries! You can still a quick half day trip and see some of the beautiful Georgian scenery. Ananuri Fortress is just over an hour’s Tbilisi, meaning it’s easy to squeeze into a day trip – and still leave plenty of time to explore the city. With its earliest parts dating back to the 13th century, it’s a beautiful piece of history set amongst a breathtaking backdrop. Even if you’re staying in Georgia for a while, it’s worth adding a stop here to your list. Why visit: Entry to Ananuri Fortress and is completely free. Climb to the top for stunning views or admire the fortress and its turquoise waters from the ground – both are beautiful. How to get there: If you’re only spending a short time in Tbilisi, the easiest way to get to Ananuri is in a private taxi. Taxis are available all over the old town area and the trip should cost around 55 Lari (about £15) if you haggle! 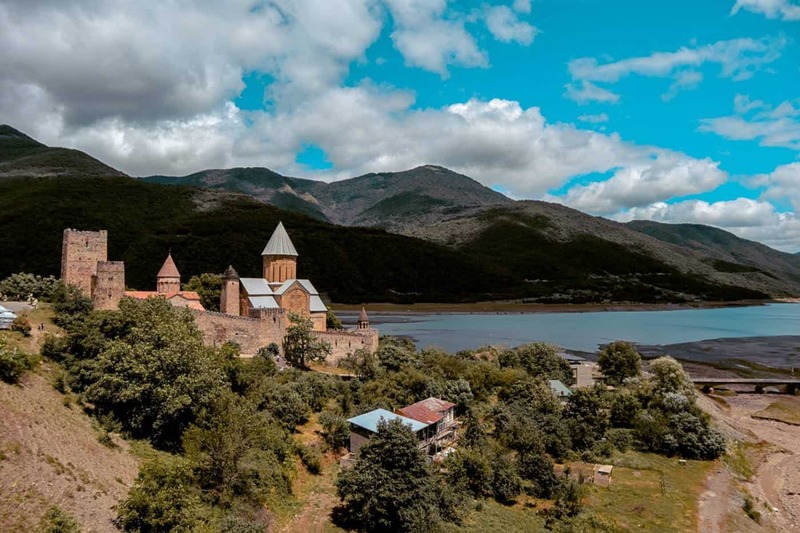 Book it: If you have a little more time, book a full day tour like this one and head up to Kazbegi as well (see below). The Military Highway is an ancient passage that leads all the way from Tbilisi up to Russia. You probably won’t be able to drive the full route in a day, but there’s plenty to see along the way. If you do have more time, spend a night or two in Kazbegi – but we’ll get to that in a minute. The drive from Tbilisi to Kazbegi takes around 2.5 hours in total. Ananuri Fortress (above) sits about halfway along the route, so there will be time for a quick stop. You’ll also want to stop off at the Russia-Georgia Friendship Monument (pictured above) and enjoy the mosaic tiles and the views behind them. It’s also a great place to try a churchkhela, a traditional Georgian sweet made from grape must, nuts an flour. It looks a little bit like a candle and comes in loads of flavours. You might also hear people referring to it as a “Georgian Snickers”! Why visit: You need to get out of the city to see just how beautiful Georgia is. It’s a fairly large country with unpredictable roads, meaning driving distances can be long. But the Military Highway is an easy way to get a taste of Georgia in just a short day trip from Tbilisi. How to get there: It’s fairly easy to rent a car in Tbilisi. It’s not as cheap as you might expect, but you won’t need a 4×4 for this. Just be careful driving out of the city – traffic is hectic and it can feel more like a video game than a real life road! To get to Kazbegi, you’ll need to drive (or be driven up) the Military Road. That means it’s a great overnight stop if you have the time to spare – and it’s well worth making time for if you don’t. Sat at around 2,000m of altitude, Kazbegi is one of the most beautiful areas I have ever visited. If you love hiking and nature, a day trip from Tbilisi simply won’t be enough. You’ll need at least one night here, but I’d recommend 2 or 3 if you have the time. 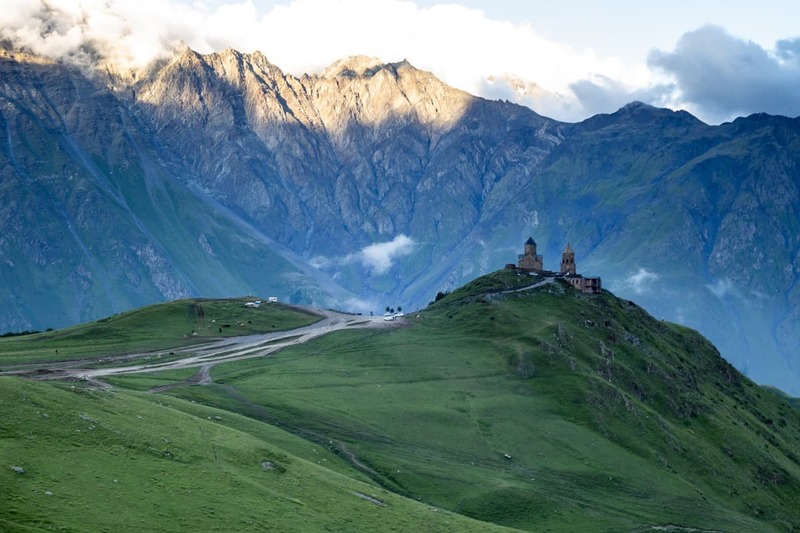 Why visit: Kazbegi is home to some of the coolest hiking trails around. It’s also a photographers paradise, with rolling mountains, remote villages and the famous Gergeti Trinity Church. 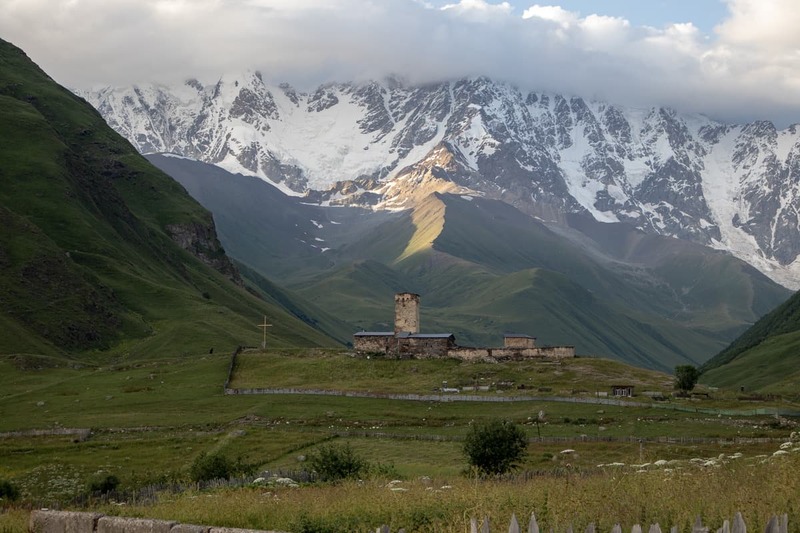 How to get there: If you think you’ll need more than one day in Kazbegi, you have a few options. The easiest way is to book an overnight tour, either with accommodation or without it (if you prefer to book your own). 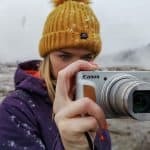 Alternatively, you could hire a car and drive up – I recommend a 4×4 if you want to go into the mountains – or hire a Tbilisi taxi for a couple of days. Ushguli is one place you can’t visit on a day trip from Tbilisi, but it’s well worth making the time for. Set in the midst of the Causcasus mountains, Ushguli is one of the most unique – and most beautiful – places I’ve visited in the world. And for a full-time traveller, I guess that’s saying something! Why visit: Visiting Ushguli, a group of four villages, is like stepping on to the pages of a history book. It’s the most remote village in Georgia, with only a small community choosing to stick around. It’s also Europe’s highest settlement and UNESCO World Heritage site. A night spent in the modest guesthouses – where electricity is cut off from 6pm until morning – will be one you won’t forget. How to get there: If you want to drive, you won’t be able to get there without a 4×4. The road is super sketchy in some parts, usually along the highest cliff edges (right where you want it, eh?). If you’re not a confident driver, hire a taxi to take you there. They’re available all over the old town of Tbilisi and are surprisingly affordable. Book it: Ushguli isn’t the kind of place you can turn up and then look for a room. If you don’t have somewhere to stay, there’s simply nowhere to go. Make sure you book a guesthouse and confirm the booking BEFORE you start your journey along the long road there. It’ll cost around £15 per night and family dinners and eclectic clientele are all part of the package. Georgia’s third most populous town is also the capital of several historical kingdoms. A 3-hour drive from the current capital, it’s close enough to make a long but interesting day trip from Tbilisi. Now home to Georgia’s government since 2012, Kutaisi offers an eclectic mix of old and new. Modern architecture lines the road just streets away from old, wooden buildings. Lively bars with rooftops views look down on cobbled streets where children play. Why visit: Kutaisi is in a funny place right now, caught somewhere between post-Soviet decline and modern resurgence. 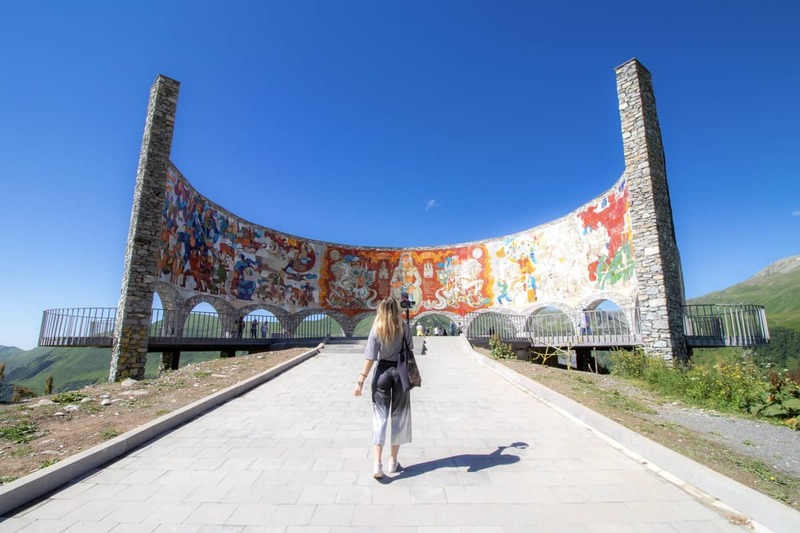 That might not last for long, so visit soon if you want to experience Kutaisi as it is now – and enjoy an authentic history lesson while you’re there. How to get there: This one-day day trip from Tbilisi will take you to the famous Prometheus Caves as well as Kutaisi. If you want a little more time to explore Kutaisi – one night is the perfect amount of time – then this 2-day tour includes accommodation and an optional canyon visit, too. Our trip to Poti was a spontaneous one, to say the least. We were driving back to Tbilisi from Ushguli and, given how long the journey takes, needed somewhere to spend the night. We ended up spending it in Poti, a 4.5 hour drive from Tbilsi on the western coast of Georgia. Poti is one of those places that’s just slightly too far to make for a good day trip, but you wouldn’t want to go for the day anyway. A fun beach resort, Poti is the kind of place you go to spend at least one night so you can truly relax. 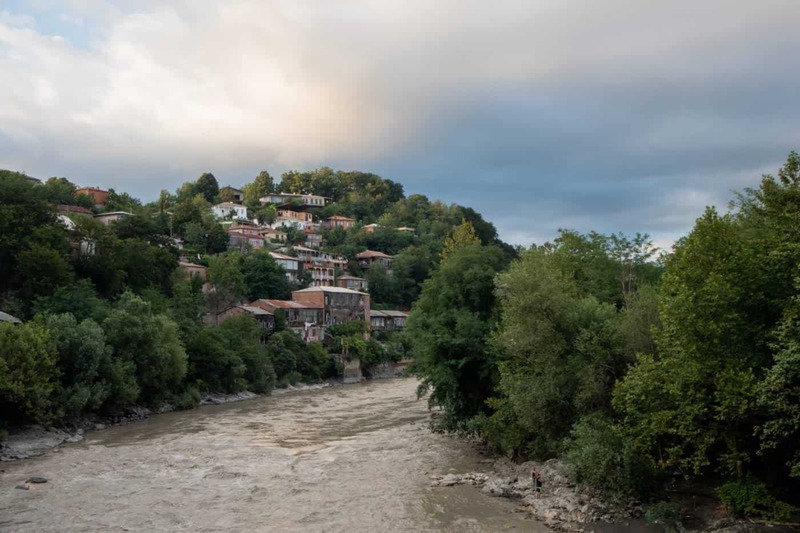 If you want to see a completely different side of Georgia – and see how Georgians holiday – Poti is where it’s at. 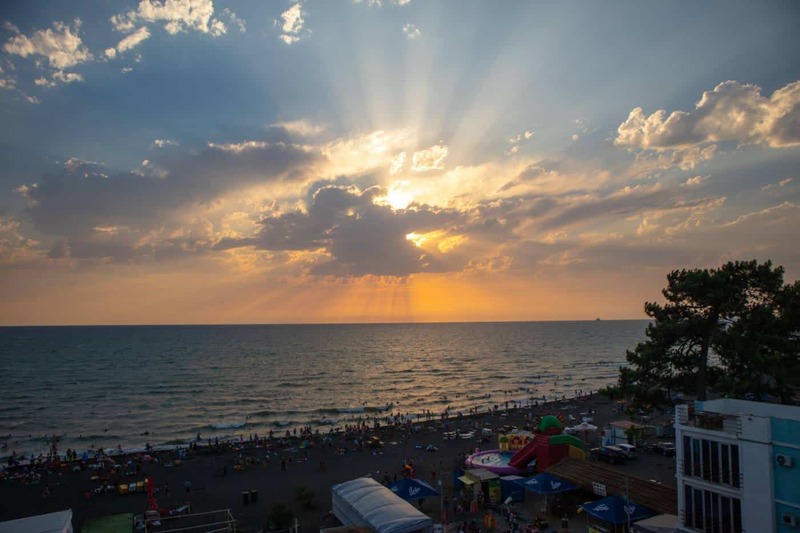 Why visit: Poti isn’t the famous beach spot in Georgia – Batumi is. Despite its lesser popularity, it’s still a buzzing beach spot full of people enjoying the sun. The beach is lined with cool bars and barbecues, while the streets are lined with markets and street food stalls. It’s totally different to any beach destination I’ve visited before and, for that reason, well worth a visit. How to get there: The easiest way to get to Poti is by driving. Unlike the mountainous regions, the road is pretty straight and makes for an easy drive. If you want a more local experience, it’s possible to take a 5-hour train from Tbilisi to Poti for around £7. 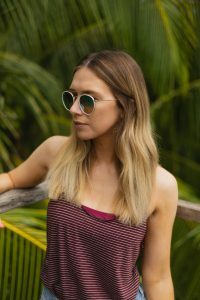 Planning a trip to Georgia? Pin the image below to save it for later!